Attention please: sequins coming through. 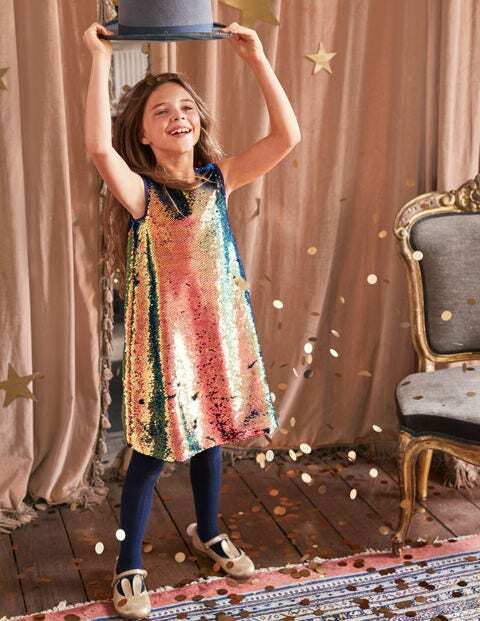 This sparkly dress must have been a chameleon in a former life, because it changes colour with every skip, jump and twirl. The swishy swing shape is perfect for dancing at parties, and we lined it in soft cotton voile for a touch of cosiness too. Better get used to the word 'wow'.